One of my weekly projects is to arrange the flowers for the altar at Church. We don’t do flowers for Lent but our committee wanted something to represent the desert or wilderness. We found some pictures on the Internet that gave us some ideas that we used as a springboard. 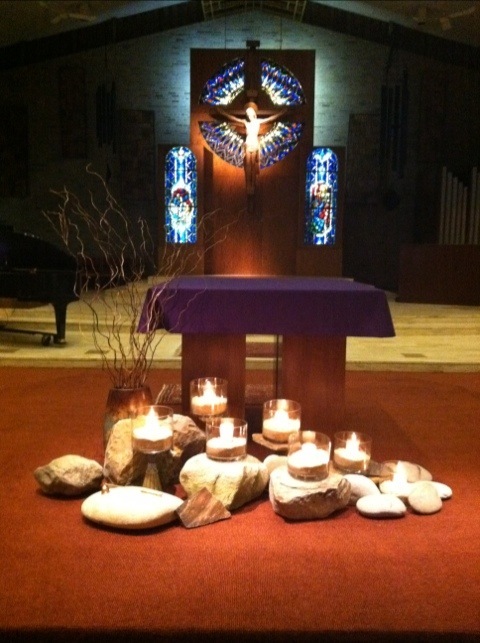 This is what we came up with for our Lenten Environment. This is so beautifully simple and very appropriate for lent.